I need a way to quickly edit XML within my editor of choice, Notepad++. What to do, but took to Google and see whether Notepad++ supports XML. 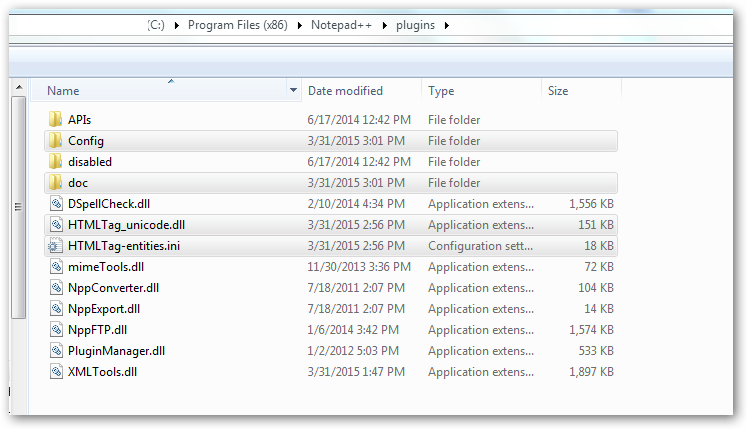 In Notepad++, to install or update plugins, I will access the menu option Plugins/Plugin Manager/”Show Plugin Manager”, select the plugin that I want, and click Install. 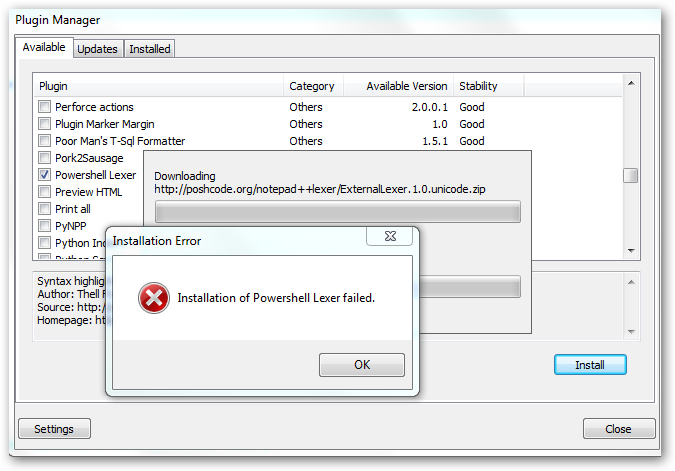 Here is what happens when I try out PowerShell Lexer. BTW, “PowerShell Lexer” provides syntax highlighting for Power-Shell. The problem is a Proxy configuration and authentication issue. And, the problem merits a far more interesting post, that I will save for another day. For today, we will trod the laborer’s path and update manually. Where is the XML Tools PlugIn? As of today, the file that we will download will be Xml Tools 2.4.4 Unicode.zip. Re-launched Notepad++ and tried to encode XML. I am probably wrong, but it does not appear any of the options specifically address XML Encoding. Took to Net to see if there is a more specific plugin for XML Encode. From https://kollegaru.wordpress.com/2012/05/24/notepad-html-tag-plugin-easy-html-encode-decode-functions/, it seems I should try out HTMLTag. Where is the HTMLTag PlugIn? 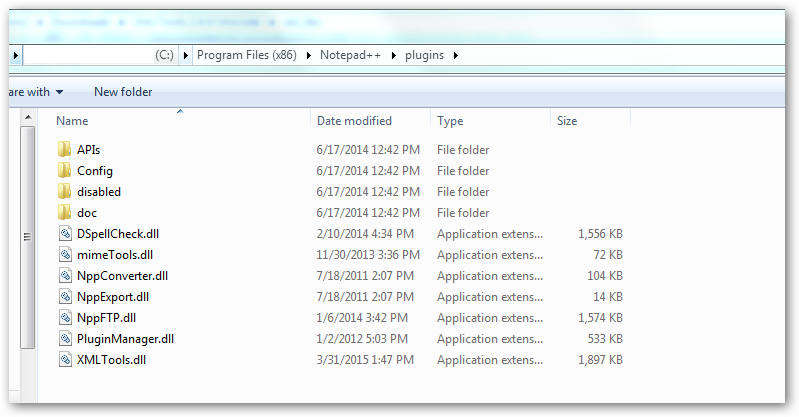 Copy all the folders and files under the Applications’ plug-in folder. 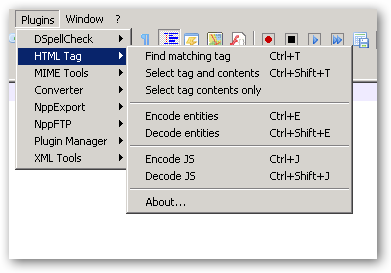 Again, re-launched Notepad++ and here are the options under Plugins\HTML Tag. From the screen above, we are able to encode and decode HTML Entities. Note that same applies to XML. So it seems both plugins are needed. 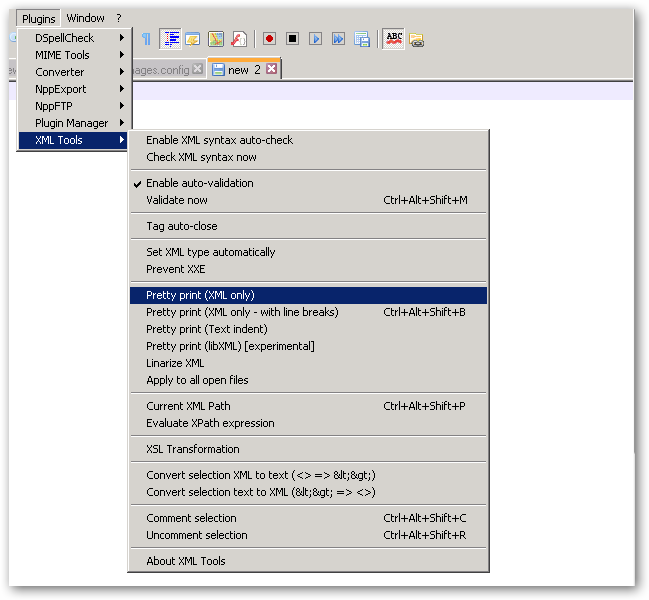 The XML Plugin for validating XML, and the HTML Plug-in for encoding and decoding XML/HTML.